Livraisons GRATUITES en Pack Économique! 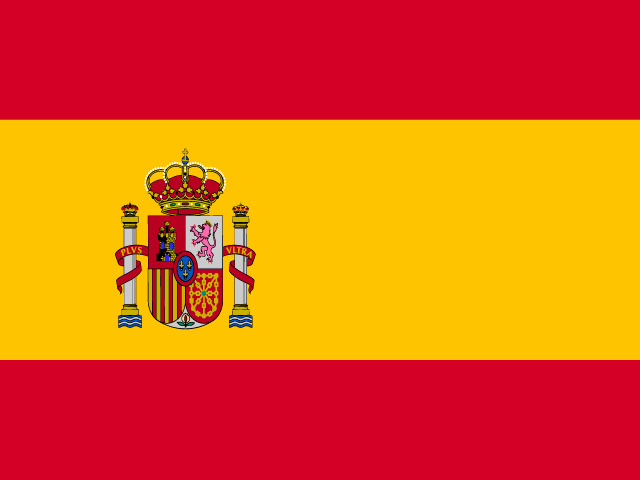 Envíos GRATIS a Españan¡Aprovecha nuestra promoción de lanzamiento! 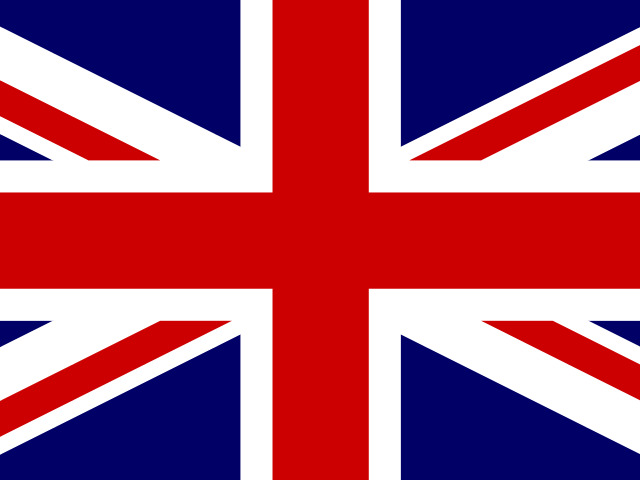 Take advantage of our launch promotion! Ask for our taster pack to try out our flavours, both sweet and savoury! KÜiK provides you with 44% of the 28 vitamins and minerals required per day, besides the proteins, carbohydrates, lipids and fibres you need at every meal. 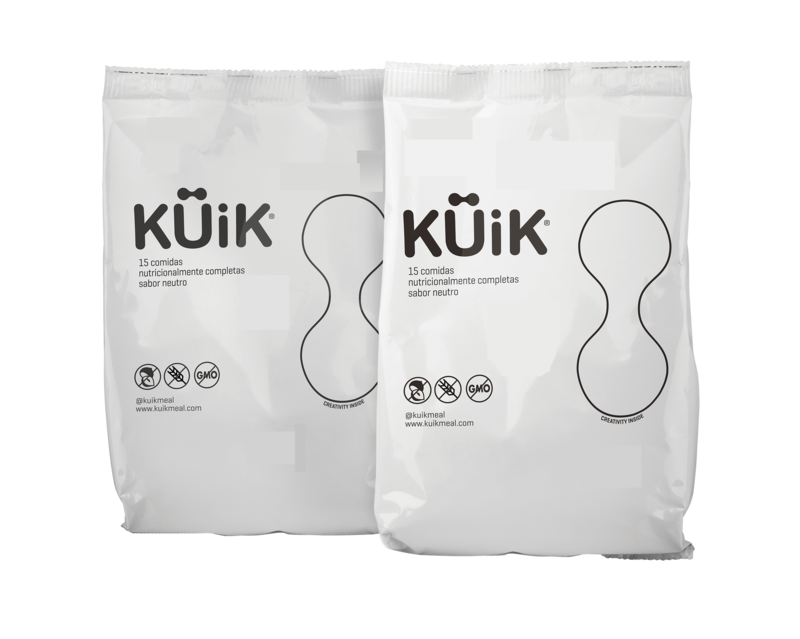 KÜiK is guaranteed FREE OF NUTS, GLUTENS, GENETICALLY MODIFIED ORGAMISMS (GMO) AND SUGARS. Prepare it in a shaker or in a glass. Produced at an Asturian dairy cooperative. Mix it with 300/400ml of waster, depending on the desired texture. 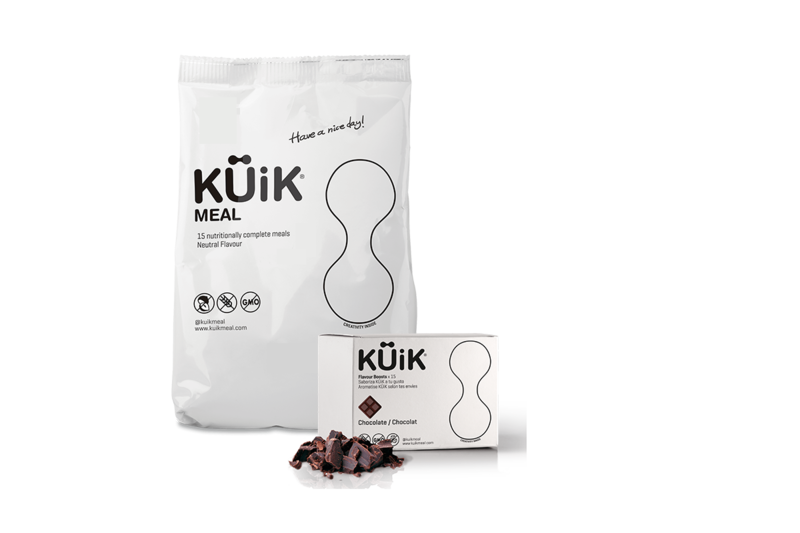 "Küik Meal is an excellent choice when you don’t have enough time to prepare a healthy dish, with the pace of life that we have today, the rate of use of ready meals or vending machines is too much to maintain a healthy diet. In these cases, Küik Food becomes our perfect ally, replacing a main meal, but at the same time providing all the nutrients you need, in a healthy, fast and economical way".